CAMARILLO, Calif. - Opto Diode Corporation, an ITW company, introduces AXUV20A Circular Photodetectors for radiation, electron, and photon response in the ultraviolet (UV), extreme ultraviolet (EUV), through visible and near- infrared (IR) wavelength ranges. The circular device, with an active area of 5.5 mm diameter, features sensitivity to low energy electrons. The AXUV20A photodiode shunt resistance is 100 MOhm, minimum. Reverse breakdown voltage is 5 volts, minimum, and 10 volts, typically. Other features include capacitance at 4 nF, typically, with a maximum of 10 nF, and a rise time of 2 µsec. 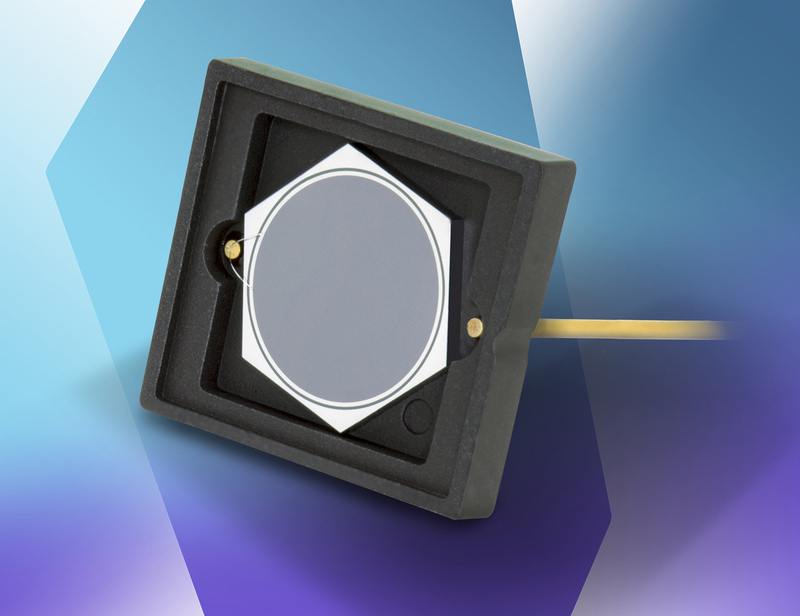 The AXUV series of photodiodes exhibits response to electron energy levels as low as 100eV. To view typical AXUV20A response graphs, see pg. 2 of the data sheet here: https://optodiode.com/pdf/AXUV20ADS.pdf. Operating and storage temperatures range from -10 °C to +40 °C in ambient environments and from -20 °C to +80 °C in nitrogen or vacuum environments. The device is shipped with a protective cover plate to protect the photodiode chip and wire bonds. To learn more about Opto Diode’s AXUV family of detectors that detect energy from 100eV to 50keV and feature high performance measurement of photons, electrons, or X-rays from 0.0124 nm to 190 nm, please contact sales@optodiode.com or visit: https://optodiode.com/photodiodes-axuv-detectors.html.